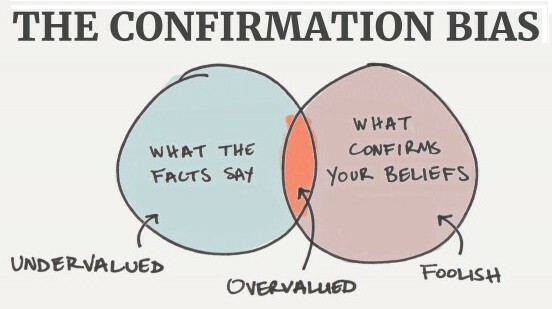 Confirmation Bias gives us a feel-good feedback loop. To change the system, we have to challenge it. the use of information overload to max out the brain’s ability to separate fact from fiction, including bias shortcuts and cutoffs. connecting directly with peers so that the selection of friends influence the information that they see and adopt; creating an “echo chamber” that is ripe for manipulation. the complex algorithms used to present what individuals view online in both search engines and social media platforms. Under the guise of “personalization,” the technologies hone the content down to be the most relevant and engaging while reinforcing pre-existing cognitive biases. As we have moved the evolution of misinformation forward, it has become the status quo to accept the data and not even question the source(s). We enter the realm of personality types to view those that accept the information verbatim versus those that choose to seek out sources and fact check. The sad status is that a majority of people buy-into the versions presented to them based on confirmation bias and filter bubbles, just because it’s easier and it feeds to their inner belief system.